School children in Essex have the opportunity to name 12 of the county’s gritters as part of a new competition. Essex County Council’s fleet of 64 gritting lorries spreads approximately 20,000 tonnes of salt each winter, treating 2,000 miles of the county’s roads. Pupils at the county’s primary schools now have the chance to enter a competition to name a selection of them. 12 winners will be selected – one per district – and each will win a free in-school ice and fire workshop for their whole class, courtesy of the Essex Country Parks Outdoor Learning Team. The gritters will also be branded with the 12 chosen names. 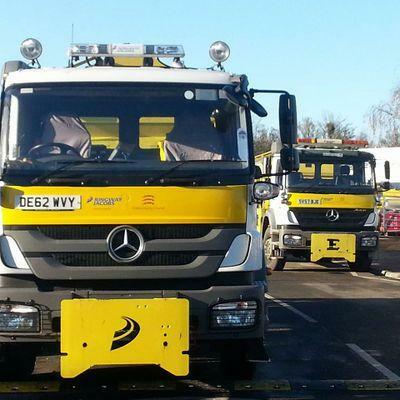 Councillor Eddie Johnson, Essex County Council’s Cabinet Member for Highways Delivery, said: “Our gritters play a crucial role keeping the county moving during the winter months. “As well as being good fun for the pupils involved, I hope the competition will also teach them about road safety and what we do to keep our roads safe in icy weather. To enter, simply send a suggested name and a brief explanation why the name was chosen. The pupil’s name, year group and school need to be provided, and all competition entries should come via schools. Entries should be emailed to channels@essex.gov.uk or posted to Name the Gritters Competition, c/o Communications, Essex County Council, County Hall (E1 zone 3), Market Road, Chelmsford, Essex, CM1 1LX. The closing date for entries is Friday 22 January 2016. Click here to read the competition terms and conditions.